This episode begins our 3 episode stretch of episodes focusing on the war in the East, we have already discussed the actions at Gallipoli and in the Caucasus but those two theaters are just part of the war that was waged between the British and Ottomans in the Middle East. It was a side theater during the war, it would not have the resources or the action of other fronts but the 3 years of conflict would lead to decisions made after the war that would change the course of the Middle East for the rest of the 20th century and beyond. The British will be the primary drivers of action during these episodes which will cover the events from November 1914 to the very beginning of 1916. This episode will try and look at the situation in the Middle East before any action occurred. Then next week we will look at the opening moves in the theater and a surprising, at least to me, attack by the Ottomans against the Suez Canal in Egypt. Finally, the third episode of the trio will follow the British attack from the shores of the Persian Gulf into Mesopotamia that ends in a tiny village that you may have heard of by the name of Kut. Lets start off with talking about the Ottoman situation. We have already discussed the Ottoman world in 1914 in some general and some specific terms but I thought I would do just a quick 3 sentence refresher. The Ottoman Empire was in decline in 1914, and had been for quite some time. In the years before the war it had lost a huge amount of territory and its population due to wars with European States and internal conflicts. This included the Italian invasion of Libya in 1911, the Balkan Wars, and the Egypt situation which will discuss here in just a moment. The Balkan losses were the most severe due to the concentration of population and resources in the area. Even with these losses though the empire still had thousands of miles of coastlines to try and defend from invasion, which doesn't even take into account all of its land borders. It was simply impossible to properly defend all of these borders all of the time. This problem was not at all helped by the fact that huge portions of this land was isolated on the other sides of deserts. In the more distant areas of the empire like, say, Mesopotamia, the Ottomans barely had any real power at all. In these areas the Ottoman power in the regions were concentrated in the urban areas but out in the less populated tracts it was often under the control of local tribal leaders that were only sort of on the Ottoman side. It was by no accident that the British would focus on these areas during the war. The lack of power in the distant regions of the empire not only made it difficult to resist invasions but it also made it difficult to properly use the resources of the region during the war. Kristin Ulrichsen in The First World War in the Middle East would say about this topic that it "resulted in a legacy of limited extractive capabilities that undermined Ottoman attempts to mobilise local resources during the First World War." Empires throughout history could tell you that if you don't maintain powers in regions of your empire it is impossible to mobilize those regions during a crisis period. A great example of this was the situation in Libya in 1911, when the Italians invaded the local population, which had only been only loosely ruled by the Ottomans just sort of shrugged and went on with their lives. Going to go back to Ulrichsen here with this quote "This was, in large part, attributable to the Ottoman's inability to create a common identity among the peoples they governed, to construct a viable economic alternative to the gradual erosion of the traditional caravan-based trading systems, or to reformulate notions of regional political authority, which remained stubbornly tribal and local." Up until this point in our discussions of the Ottoman participation in the war we have always been talking about areas that were strongly under the control of Constantinople. Gallipoli is just a stones throw from the capital, the Caucasus region is in areas close to the Turkish core of the Empire. The areas that we will discuss over the next few episodes will be far from these areas which it why we will spend so much time talking about local group and leaders whose loyalties were…negotiable. This moves into another topic I wanted to retouch on now before we move on, and that was the topic of nationalism. Nationalism, and its growth in the early 20th century had huge effects on Europe, as we talked about in the early episodes of the podcast, but it also had effects on the Ottoman Empire. The idea of a national identity had already cost the Ottomans their holdings in the Balkans but it wasn't as advanced throughout most of the Middle East and that is probably most attibutable to what I just talked about, the lack of government power. There is little need to rebel against a government that barely has any control, doing so would be a high risk-low reward scenario. However, as the war progressed and the armies arrived and Ottoman power began to become more manifest tribal leaders could be convinced to side with the British with promises of independence after the war. What was a high risk low reward situation before the war became a low risk high reward scenario with the presence of British backing and increasing annoyance from Constantinople. This would be a small problem for the Empire in 1915 but as the war progressed it would become worse and worse. Before the war was over not only would there be nationalistic ideas in Mesopotamia but also in Syria and Lebanon. There will be a lot of talk later about what happened to the Middle Eastern map after the war, so much you will probably be sick of it. Suffice to say that in the late and post war period this nationalism, and how the British and French interacted with it when breaking up the Ottoman Empire would cause problems, serious, serious problems. So I have talked a lot about the Ottoman Empire, but the other primary driver of Middle Eastern events were the British. They were active in two areas we will talk about today, Egypt and Mesopotamia. One of the important facts that you may not know, and that to be completely honest I did not know going into this episode, was that Egypt was not a British colony before the war, at least technically. In fact, not only was it not a British colony but it was part of the Ottoman Empire. Just to heap some more confusion into the pot here, it wasn't ruled by the Ottomans, it was instead a vassal state that had full autonomy. This meant that it had its own ruler, its own finances, and its own alliances. I would not be surprised if you thought that it was a British colony though. So far in this podcast I have spent a reasonable amount of time talking about the British preparing to defend Egypt, massing troops from India and Australia in Egypt, and generally placing a very high importance on Egypt in their war plans. Even if it wasn't a colony, it was still extremely heavily influenced by the British and other Europeans and all of that started around the time of the creation of the Suez Canal. The debt accrued by creating the canal, caused a lot of problems for the Egyptian government and resulted in the sale of the Egyptian share of the canal being sold to the British with the other half already being owned by the French. This gave the British and the French a vested interest in the country and resulted in several important parts of the government being completely controlled by British and French officials. So while, technically, Egypt was an autonimous state, it was really just a puppet state controlled by the British and French. There were not many troops in the region though. Before the war the British only had about 5,000 men in the country almost entirely tasked with protecting the canal. When the war started all of that changed. First it was the Territorial troops from the home islands that arrived to replace the regular troops that were on station, then it was the colonial troops on their way to Gallipoli and the Western Front. When the Ottoman Empire declared war Egypt was declared a British protectorate. What that really meant for Egypt is that it went from a puppet government controlled by the British to…another puppet government controlled by the British. With the Ottoman entry into the war the protection of Egypt became the number one concern for Middle Eastern policy. Everything that was done was second to making sure that Egypt, and its canal, were safe from interference. With the situation in Egypt completely clear, lets talk about Mesopotamia. The Ottomans were still in control of Mesopotamia, and there isn't some sort of confusing explanation about it. The British were very invested in keeping it free of Ottoman influence once the war started. In the years before the war the British had become very dependent on oil from the Persian Gulf states. Before the war British Foreign Secretary Lord Lansdowne even said that any other country making naval bases or fortified areas in the gulf region would be seen as a direct threat to Britain interests. With the British so invested in the area it should be noted that they did not see the Ottomans as the primary threat, instead they saw the Russians as the biggest concern. The Great Game had been ongoing for almost a century with the British and Russians vying for influence in the Middle East. The animosity between the nations had lessened in the years before the war after some treaties were signed but the Russian concern would just find itself replaced by concern over German encroachment. The German threat peaked before the war when the Ottomans partnered with Germany to begin creating a railroad that would span the entire distance between Constantinople and the Persian Gulf. This would have completely changed the political and economic situation in Mesopotamia which was somewhat isolated from the rest of the Empire. It also would have changed the fact that the area around the Persian Gulf had more economic ties with Britain and India than it did with the rest of the Ottoman Empire. So with these facts in mind it seems reasonable to assume that the British would look to invade Mesopotamia, so lets dig into that situation a bit more. Peter Hart in his book The Real War would have this to say about why the British would invade "The occupation of Mesopotamia might raise British prestige, and it might annoy Turkey, but it could not endanger her power of resistance. Although its origin was sound, its development was another example of "drift" due to the inherent faultiness of Britain's machinery for the conduct of war." While the securing of the Gulf coast would be easy, and would go a long way to guarantee oil supplies, besides these reasonably small gains it would be difficult for a British army to accomplish very much in the region. There were very few roads and the army would be almost entirely dependent on the Tigris and Euphrates rivers for supply and communication. There were also some pretty hefty distances involved between meaningful objectives. But the British would eventually invade, and those plans would come out of a committee created in 1914 before the Ottoman entry in the war. One of the members of the committee was Sir Mark Sykes. Sykes had travelled extensively through the Middle East before the war and had at least some knowledge of the location and its culture. Kitchener took a specific interest in Middle Eastern affairs and Sykes was seen as his mouthpiece on the committee. Because of this fact, and his seeming great amount of knowledge of the region, Sykes naturally, over time, took control of the committee. Many things were discussed in this time before the Ottoman entry and not just about what would happen if war came but also what would happen when, of course not if, the British were victorious The plan was already being put in place to completely redraw the map of the Middle East. Near the end of 1914 Sykes took a tour of the British holdings in the Middle East. During this trip he would visit many locations in Egypt, the Persian Gulf, Mesopotamia, and India. The first and last of these destinations were the most important. On his first stop in Egypt he was told by the British officials there that the population of Syria was ready for British rule and would welcome them gladly. This moved Sykes more towards a campaign, with the prospect of great help in the region. There were also many discussions about what should happen to the Middle East after the war while Sykes was in Egypt. Two of the core tenants that the British officials in Egypt believed was that the Arabs could, and should, have independent rule after the war. It was, however, important that the seat of the Caliphate which currently resided in Constantinople be moved further south, away from Russian influence. Even though Britain and Russia were allies in the war, there was still concern about their role afterwards. When he departed Cairo Sykes had begun to formulate his own ideas on what he would report in London on his return but then he went to India. India would play the primary role in any Middle Eastern campaign in terms of manpower and support so it was important that Sykes and the Viceory Charles Harding were on the same page, but they were not. The first disagreement revolved around independent rule and its place in the post-war Middle East. Independent rule, and if it would be supported by Britain after the war, was important because it would almost certainly be a discussion point with any possible British ally that was currently a leader within the Ottoman empire. This could include tribal leaders and other leaders within Ottoman society. The Viceroy would write after Sykes left that "Sykes does not seem to be able to grasp the fact that there are parts of Turkey unfit for representative institutions" When Sykes left several of the topics were left unresolved and when he returned to London he would propose that a new government entity be created that would handle all of British policy in the Middle East. There was currently the committee to advise but it held no real power over the two closest British officials in the region which were stationed in Egypt and India. Sykes would propose that a body be created to oversee the Middle East and that it should be stationed in Cairo, and of course he should lead it, this would allow him to get around any differences of opinion between the leaders of Egypt and India. This body, which would be called the Arab Bureau, would be created in 1916 and would have authority over the conduct of the war in the Middle East, allowing it to utilize the resources of India and Egypt in a coordinated manner. A critical part of the Bureau's job would be interacting with, and maintaining relations with, Arab tribes in the Ottoman territories. Kitchener and the men in London had started focusing on how they could instigate rebellion amongst the discontented Arab leaders since before the war, and now it was time to make it happen. With the British emphasis on attracting the Arab tribes to support their war it is time to introduce a new character into our story. I use the word character very carefully, because Muhammed Sharif al-Faruqi has a very interesting story. When the Ottomans entered the war he was a Lieutenant in the Ottoman army. He was also a member of a secret society in Damascus, the Ottomans were very concerned about these secret societies and the possibility of them leading rebellions. For this reason Al-Faruqi was sent to the Gallipoli front. 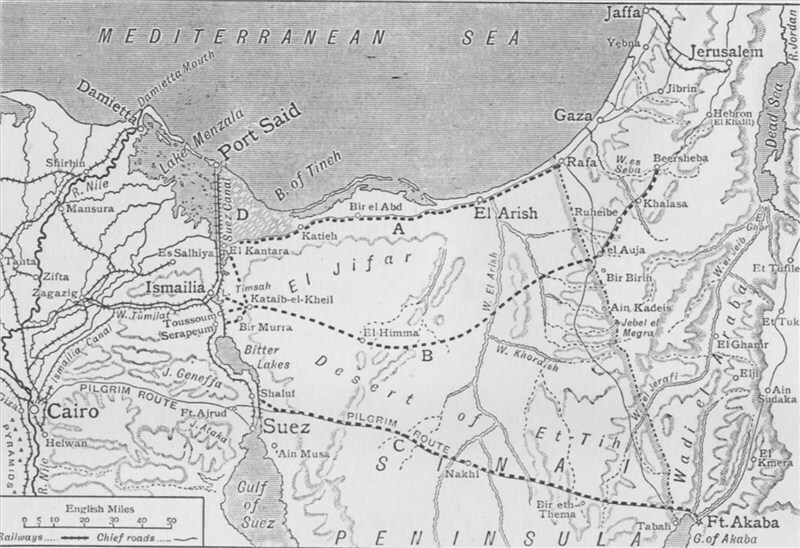 While on the Gallipoli front al-Faruqi would seize the opportunity to desert over to the British side and once captured he claimed to have very important information for British Intelligence. The information that he claimed to possess would, in his mind, allow the British to easily triumph in the Middle East. Al-Faruqi spoke only small pieces of broken English and there is some debate among historians on how much of his information was interpreted accidentally incorrectly, was purposefully misleading, or was a result of the British hearing what they wanted to hear. What the British would understand from al-Faruqi was that he was a representative of the Arab Secret Society called al-Ahd and that he had the authority to speak for the society. From my lead up and my phrasing of that sentence you may have already realized that he was neither of those things. He had duped the British mostly due to that fact that he had knowledge of communications that had been sent to the leader of al-Ahd Sherif Hussein, he came by this knowledge from his friends in Damascus. Sherif Husseign was the Emir of Mecca and the British knew that Hussein had power and they had been in contact with him since before the war started. Hussein had sent a list of demands to Cairo that the British had to meet before Hussein would support the British in the war. The biggest of these demands was that Hussein would be made an independent ruler after the war. The British began to consider giving into all of Hussein's demands partially because of information given to them by al-Faruqi who claimed that Hussein had at his command hundreds of thousands of Ottoman soldiers and millions of Ottoman subjects. Neither of those facts were correct either. Another nugget of information obtained from al-Faruqi was that the British had to answer quickly or Hussein would put his full support behind the Ottomans. So, believing that it was a huge step towards winning the war, the British reached an agreement with Hussein and believed that, when the time came, there would be a massive revolt against Ottoman rule. After all of these pieces of information were provided by al-Faruqi he found himself in an interesting position. Due to how he was being used by both sides in the negotiations both of them, the British and Hussein, believed that al-Faruqi was the representative of the other. This put al-Faruqi squarely at the center of all of the conversations and negotiations. As the months went by Sykes became more and more convinced that, after the information obtained about Hussein it was absolutely essential that the British get as many Arab leaders on their side in the coming conflict. This caused a ton of time spent on diplomatic back and forth conversations where boundaries, promises, demands, counter demands, and deals were made, changed, remade, and rechanged. These efforts were thought to be extremely important both in Cairo and London. In reality, Hussein had no army, and the following of the secret societies were much small than reported, and the loyalty of the Arab tribes was found to be very fluid. Sykes, however, accepted all of the deals reached and promises made at face value and used them in his further decision making. The one decision that this led to, and often the one action that was required by the British in their treaties, was that there would be no Arab revolt until there were British boots on the ground in the Middle East. Next week, we will find out how they got there.